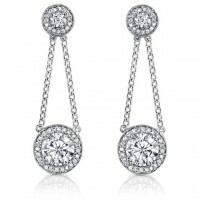 Madina Jewelry are the premier designers of women’s diamond earrings, available in a variety of diamond and metal colors such as white, rose, and yellow gold. 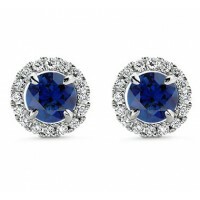 As we have the largest online inventory of diamond earrings for women, we invite you to choose from our vast catalog and take advantage of Free Shipping and 30 Day Return Policy. 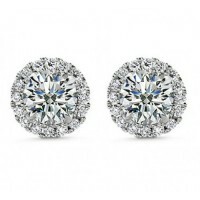 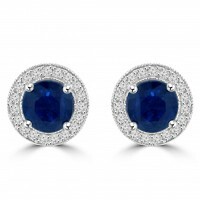 Our inventory of women’s earrings consists of crafted with hand selected top quality diamonds. 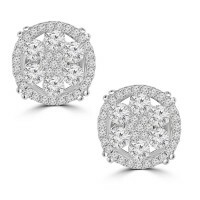 Our bestselling Valentine’s Day gift is easily our collection of diamond earrings the perfect display of love. 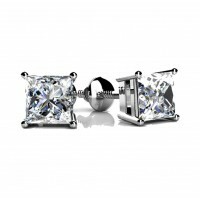 The standard for fine jewelry. 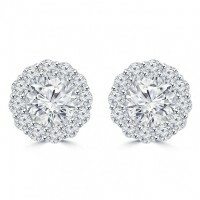 14K White gold has been the most popular choice for fine jewelr.. 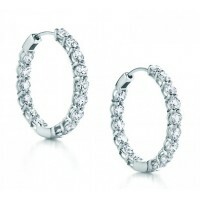 These glamorous women's diamond hoop earrings are crafted in highly gleaming 14K White Gold. 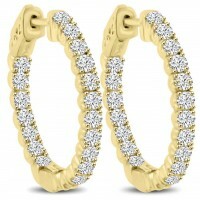 The inn..